Want to live on the lake AND be close to everything? 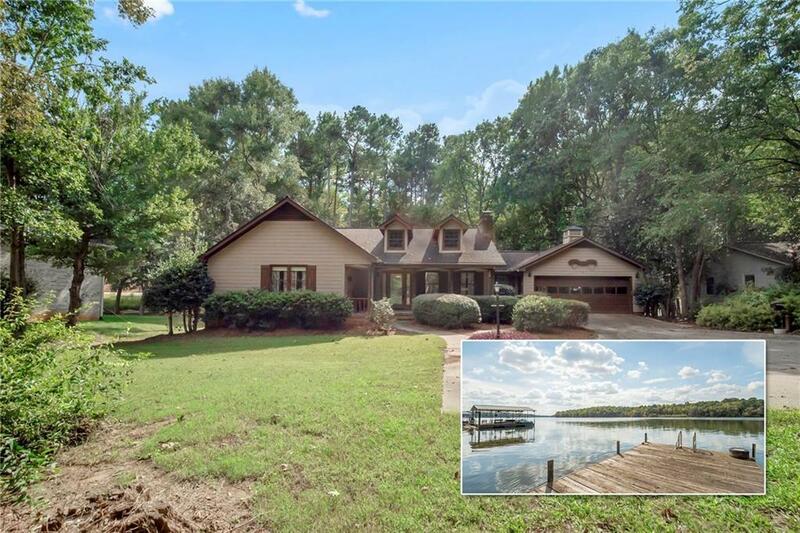 This Lake Hartwell waterfront home has one of the most convenient locations you'll find! Only 2 miles from I-85 at exit 19, you can get to downtown Greenville in 35 minutes or less, Clemson University is just a 15 minute drive away, and shopping & dining in Anderson is even closer. If that's not enough to get you excited, just wait until you see the completely level walk to the lake! A platform dock is currently in place (around to the left), and there's plenty of room to move it out in times of drought. Approval for a Max Size 1120 SF Dock was approved by COE Ranger Bryan Peterson. The single level home includes an attached 2 car garage with a full bathroom, which is great for showering after working outdoors or being out on the water. Inside, you'll find a large living area with vaulted ceiling and fireplace, a dining area with a bay window facing the water, large kitchen with pantry, as well as 3 bedrooms and 2 additional bathrooms. On the back of the home is a porch that has been converted to a sun room, which could serve as additional living space or a dining area for large groups if heated & cooled. Additional features include gutter guards, double pane wood windows, back deck overlooking Lake Hartwell, and and extra parking area/turnaround in front. Listing agent will provide a 1 year home warranty to the buyer at closing. Be sure to visit the virtual tour to see a full video walkthrough!